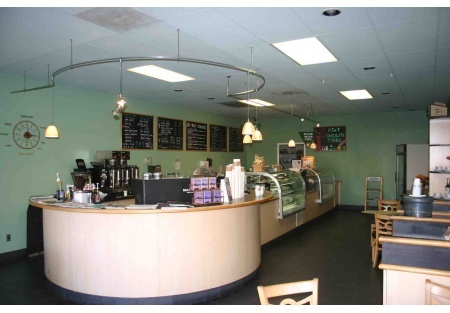 Here is your chance to purchase a local favorite, very well reviewed and high volume coffee house and bakery and deli. Current owner is ready to retire and hand the reins over to someone new.If you are looking for a business that is easy to operate, has great volume and an outstanding location, that someone needs to be you. The costs are very well controlled and with an experienced crew running the place you can concentrate on the potential that is still out there. If you want more sales you are guaranteed to get them here by simply expanding the hours. Currently they are closed on Sundays and close M-F at 5pm and Saturdays at 3pm. The demand is there, the current owner is just satisfied with what they are already bringing in. Want greater sales? Simply expand the hours. The POS system shows sales of approximately $1000.00 per day with current limitied hours. Add hours and sales will increase substantially as the demand is there! Located in a very busy shopping center, its immediate neighbors include a post office, gas station, many popular restaurants and a freeway on/ off ramp that literally drops customers at your doorstep. You cannot get on or off the freeway without driving past this place. Many high volume high, high traffic neighbors that bring opportunity to capture new customers for free. Ad in an actual marketing/advertising plan and sales will skyrocket. The space is 1260 square feet inside and has approximately 300 feet patio area. Current lease term expires on 12/31/2013 and there is a five year option available after that. Rent is $2479/month plus CAM of approximately $600. Come by and get a taste of what customers are raving about, all the menu items are prepared and/or baked fresh daily, want to expand the bakery operations? There is plenty of room in the kitchen and all the infrastructure is in place. This place is the prefect mix of location, demographics and access. If you are ready to own a successful business now is your chance. This restaurant is offered through Stone Path Brokerage Services Corporation.